** Ring made by hand in 925 silver, with cross sections. Made for men and women. Different, rustic, wild alliances for inseparable couples. ** This collection is inspired by nature. Stones, animals, thunder ... powerful elements that come together to create a unique and wild piece. 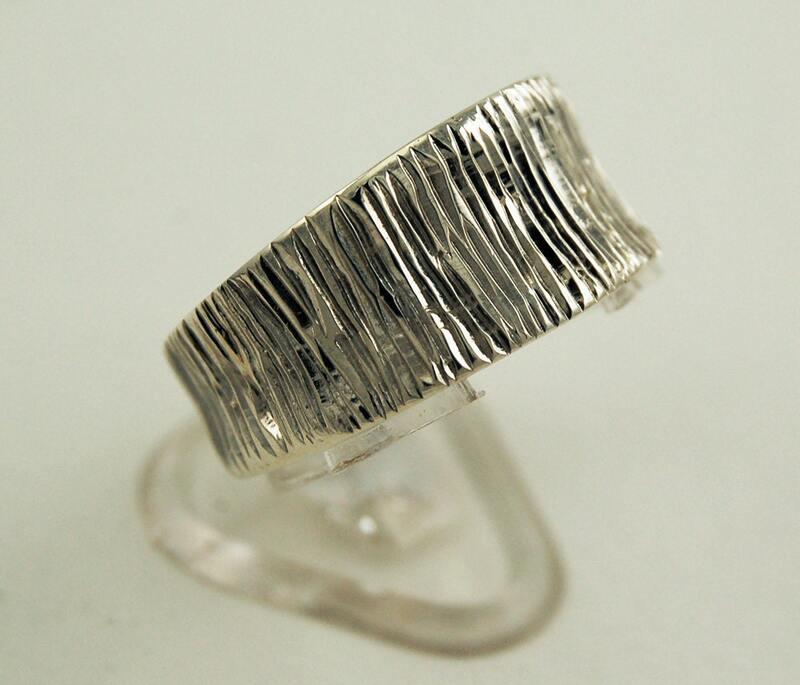 ** It is a ring made and hand carved in silver. It is made in a solid piece, which gives a unique shape to the ring. 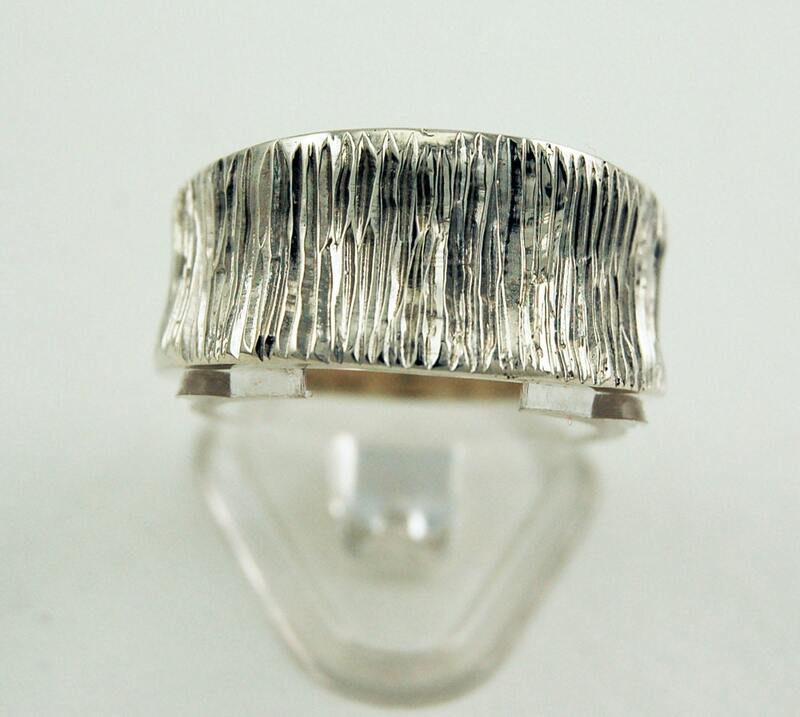 ** It is a modern ring with multiple cuts and textures that give it a hard but elegant look at the same time. 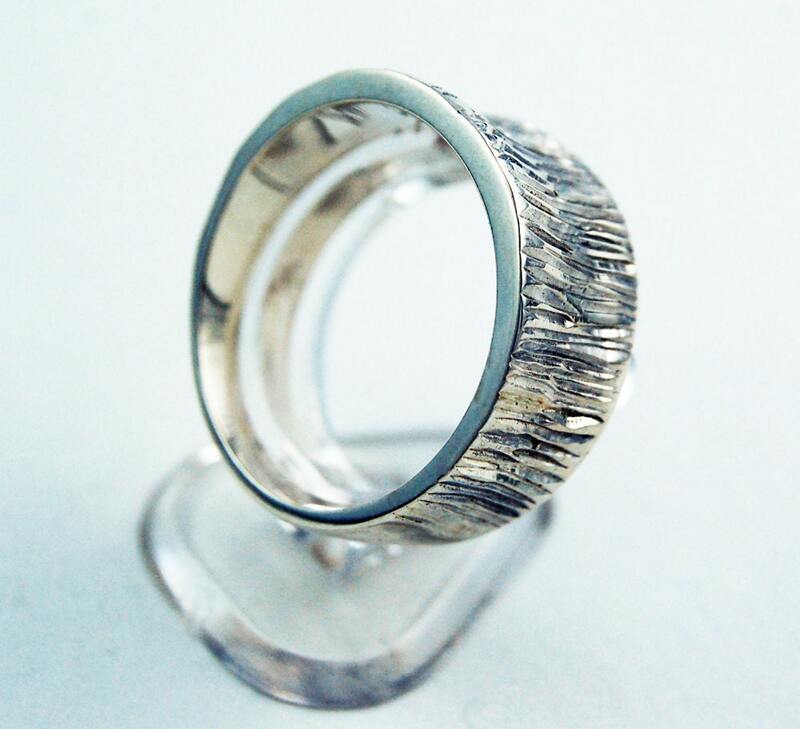 ** The rocks, the stones and the mountains inspired me when creating this ring. It is the perfect ring for those who like to do crazy things in nature from time to time. ** The finish is shiny and with rusty textures. 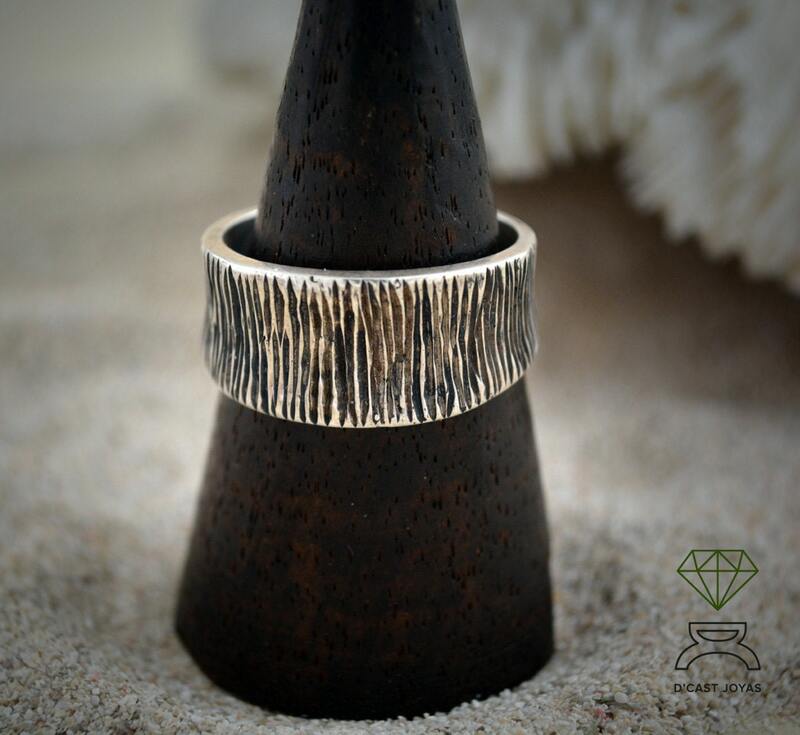 The end result is a beautiful and modern ring with that handmade look that makes it unique. ** There are many occasions when this ring can be used. Any day or as a wedding ring, it will always give you a subtle touch of style.